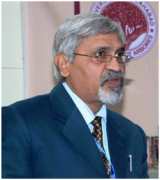 Dr Susheel Kumar Sharma (1962) has been serving the University of Allahabad as a Professor of English since 2003. He has published four books, thirty-five research papers, five interviews and twenty-eight book-reviews. A collection of more than thirty reviews of his first poetry book, ‘From the Core Within’ (1999, ISBN: 81-85231- 27-3) has been published under the title Bricks and Bouquets (Ed. Sanjeev Kumar, New Delhi: Creative Books, 2008). Prof Sharma’s second collection of poems ‘The Door is Half Open’ (New Delhi: Adhyayan, 2012) has been received very well. Some of his poems have been translated into Assamese, French, Hindi, Lithuanian, Serbian and Turkish languages. Prof. Sharma lives with his family at Vishrut, 5 MIG, Govindpur, Near Uptron Crossing, Allahabad – 211 004, India. He can be contacted through e-mail: susheelsharma.avap@gmail.com.